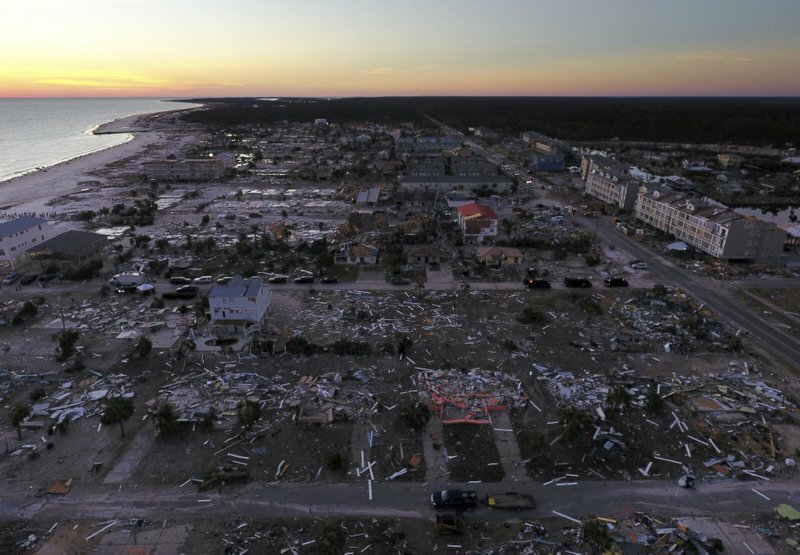 The latest Global Catastrophe Recap report from re/insurance broker Aon has estimated that total economic losses from Hurricane Michael will exceed US $15 billion, with public and private re/insurers likely to incur pay-outs of at least $8 billion. Aon’s Impact Forecasting team based their estimate on both physical damage and net loss business interruption resulting from Michael, which became the strongest tropical cyclone on record to strike the Florida Panhandle and the fourth strongest hurricane to make landfall on the U.S mainland. The Panhandle was most severely impacted by the hurricane, but parts of Georgia, Alabama, South Carolina, North Carolina, Virginia and Maryland also saw some wind and flood-related damage. Aon’s insured loss estimate compares with initial forecasts from RMS, who put losses at between $6.8 billion and $10 billion, Karen Clarke & Co. at $8 billion, AIR Worldwide at between $6 billion and $10 billion, and Corelogic at up to $5 billion. The report, which looked at global natural disaster events over the month of October, also estimated total economic losses in excess of $3.7 billion related to the storms across Southern and Central Europe that primarily impacted Italy. This figure includes a minimum $1.1 billion of damage to the area of Veneto alone, as well as losses of at least $270 million in Austria. Other notable catastrophe events in October included the extratropical remnants of Hurricane Leslie coming ashore in Portugal, which is likely to have caused hundreds of millions in losses, as well as several typhoon events in Asia-Pacific, notably Super Typhoon Yutu. Cyclone Titli also caused around $920 million of economic damage in India, while a magnitude 5.9 earthquake off the northern coast of Haiti damaged or destroyed nearly 20,000 homes. “While the majority of the headlines in October centered around the significant impacts from Hurricane Michael, other regions of the globe additionally endured notable catastrophes,” said Michal Lorinc, an analyst within Impact Forecasting’s Catastrophe Insight team.